Every day is a new day at Acadia Bike & Coastal Kayaking. Which makes the job fun and interesting, whether it is a unique situation with a customer, a day filled with endless questions on the phone, or being asked to do a job you’ve never done before. That was the case this time when Glenn (our boss) asked if I would be willing to do a 4-hour private driving tour of Acadia National Park & Mount Desert Island. Never being one to turn down trying something new, I gave my token answer of “Sure, why not?!”. I was handed a 12-page script that detailed the most pertinent information to give to the guests of the tour. Both Russ & I are amazed by the amount of information we have learned about this area during our summer here. Many times it was by talking to our co-workers, but lots of if was due to necessity to answer the questions of our customers and other visitors to the area. While Russ is waiting for kayakers to to return to the sandbar, he often serves as a tour guide to the hundreds crossing the sandbar each day. While sometimes a half-correct answer will do, it makes us want to learn more about this beautiful island we are calling home. This was super helpful as I prepared for my first tour. Luckily, things like this don’t usually make me nervous, but there was no way I was going on my first tour unprepared. With my tour approaching in just a few days, I made certain to schedule a test run of the tour the day before. I was planning to do the mock driving tour by myself since Russ didn’t have the day off, but just before I was heading out, Russ found out he would be leaving early that day. I waited for him to get home and then we hit the road for the trial tour. It was nice having him do the driving so I could glance at the script as we went along the planned route. This helped me figure out the timing and when to say what along the tour route. While we had driven all of the roads before, we hadn’t necessarily done it in one continuous drive. As I practiced what I would say where, Russ also was able to add in information he had also learned along the way. It was a fun day of learning and exploring along the Park Loop Road & beyond! 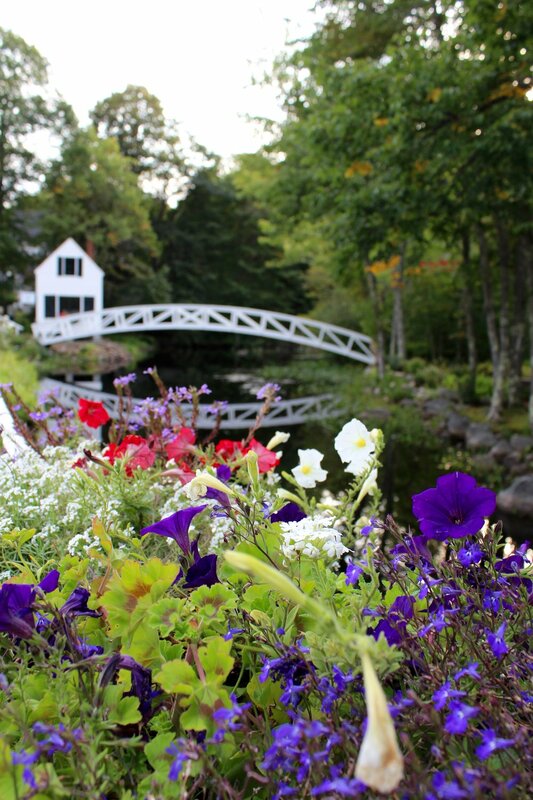 Since part of the tour was to visit Northeast Harbor, one of our favorite places on the island, we couldn’t resist getting out and walking around the lovely quaint harbor town. Even though we had been there many times before, as we went over the script, it made us pay even more attention to the beautiful surroundings. After our spin through the village of Northeast Harbor, we turned toward one of the greatest stretches of scenic roadway in Maine, Sargent Drive. This roadway boasts narrow lanes that run within yards of the Somes Sound which is a large & deep body of water formed by glacier activity thousands of years ago. With its naturally protected waters, the Somes Sound is a sailor’s paradise and with a roadway so close, it is also a dream to drive along. Acadia Mountain & St Sauveur Mountain stand tall on the far shore. After enjoying the magnificent views of the only fiard on the east coast, we headed toward the small village of Somesville. Somesville is the oldest settlement on Mount Desert Island when Abraham Somes settled there in 1761. The town and the sound were both named in his honor. Of course this isnt’ totally correct, as the Native Americans were fishing and gathering on the island long before Abraham Somes started the first European-style settlement on Mount Desert Island. Before departing the charming village dotted with several white buildings that are homes, churches, and galleries we stopped at the most recognized and photographed structure on the island, the white wooden foot bridge. As the bridge gently arches over the Somes Creek it creates a marvelous reflective scene that we proudly captured in the photos below. Snagging these photos concluded my “practice tour” and from there we heading to a nearby body of water I had not yet passed during my travels, Long Pond. Tucked between Mansell & Beech Mountains, it appears that the area between the peaks was scooped out by a giant hand leaving behind this beautiful 4 mile long pond. That giant hand was the mile thick glacier that moved across this area. This pond is spotted by fishermen hoping to catch bass or landlocked salmon, kayakers enjoying an afternoon paddle, and a few cabins along the shoreline. 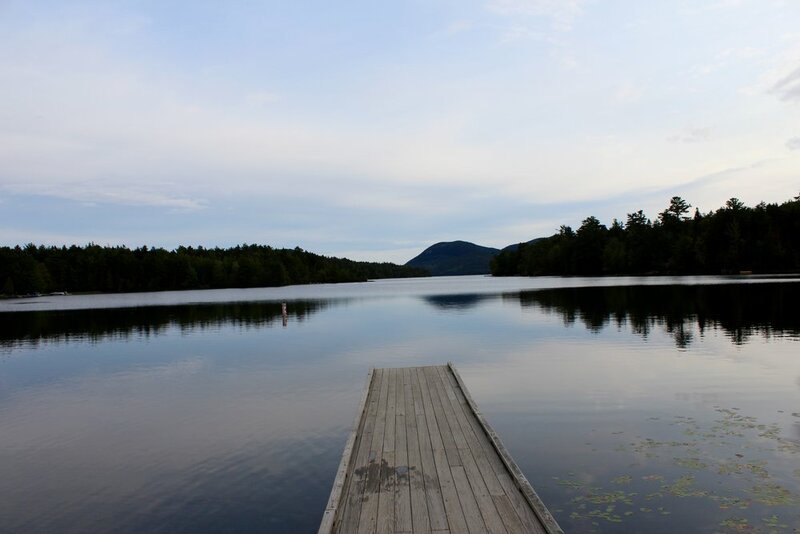 With its incredible clear waters providing visibility up to 33 feet below, Long Pond serves as a water supply so swimming is prohibited unless you are an animal that calls Long Pond home. While we did quite a bit of driving, we were reminded why we love our nomadic lifestyle. It allows us to take a long “Sunday” drive any day of the week and enjoy all the nooks and crannies of the areas we visit. Our day was colorful and lined with all sorts of different views just like the tasty Cobb Salad we finished off our day with upon returning back to our home on wheels, named Charlie!